This post is sponsored by PetSmart & Wellness Natural Pet Food and BlogPaws Professional Pet Blogger Network. I am being compensated for helping spread the word about Wellness TruFood, but Barking from the Bayou/mkclinton.com only share information we feel is relevant to our readers. Wellness Natural Pet Food is not responsible for the content of this article. 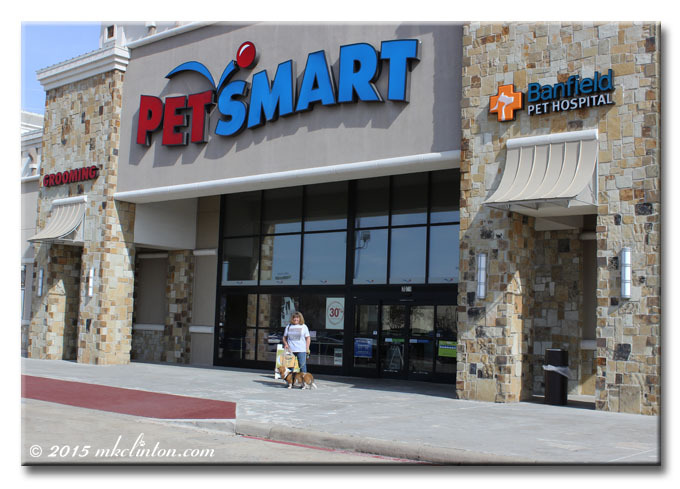 One of our favorite outings is a trip to our local PetSmart® store. We love to cruise the aisles checking out all of the fun toys, clothes, and accessories. Of course, the food aisle is always Bentley’s favorite. He loves it even more now that he has discovered the complete line of Wellness® food and treats. His nose doesn’t stop working as he checks out the smells of whole foods from the farm, field and sea in the Wellness TruFood® bags. Many dog foods use artificial coloring and flavoring to make their food look appealing to humans. That doesn’t fool our dogs for a minute. TruFood’s colors come from the actual green of kale, broccoli, and green beans. You can also see powerful superfoods such as beets, blueberries, and cranberries. You’ll discover that there is 70% more raw protein in a bag than in most pet foods. They only use whole-prey proteins that are full of natural vitamins and minerals. Our pets need these things to thrive. While Wellness TruFood is a new blend, the company has over 100 years of combined experience in making natural pet food. Each batch is slow-baked using grain-free fibers like chickpeas, flaxseed, and lentils. It’s awesome to see the living nutrition that goes into this recipe. Be sure to look quickly because your pup won’t want to wait to get a taste! They will show their TruLove for every delicious morsel with a tail wag and a lick of their lips. Bentley and Pierre are big fans of the TruFood Coco Chia treats. They combine whole-prey protein with antioxidant-rich superfoods, probiotics, coconut oil and chia seeds in every bite-sized treat. Like all of the TruFood line, they are grain-free and nutritious. We are thrilled to be able to pick up all of our favorite Wellness TruFood at PetSmart. It is one more reason to love getting our retail therapy done at our local store. 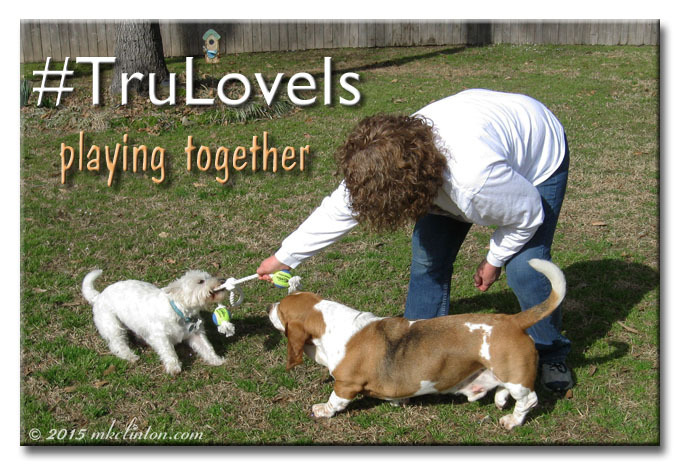 To pet parents, #TruLoveIs knowing that we are feeding and caring for our fur babies the best way we can. Wellness TruFood understands that and it shows in their high-quality food. To Bentley, #TruLoveIs belly rubs, going for walks, and his laser. For Pierre, #TruLoveIs snuggling, chasing squirrels, and his toys. They both show me what #TruLoveIs by being my best friends. You can make your very own watercolor portrait of your pet and share by visiting the Wellness TruFood Pet Parent Community. It only takes a minute and they are super cool. Once you’ve made yours, be sure to share them on social media. You can follow and tag Wellness TruFood on Facebook, Pinterest, Instagram, and Twitter. PetSmart is on Facebook, Twitter, Pinterest, Instagram, and YouTube. Maddie and BabyBelle LOVE Petsmart!! Oh I WANTS to go to Petsmart....Mum...can we go pleeeeease???? Hmmm. A fun outing AND good food! I made one of those watercolors! Reservations are made for 2 woofies in the dog section where Wellness TruFood is on the menu. Fun review! love the edited photos. Have a wonderful week and see you when I get back. We love trips to Petsmart!!! We don't have too many pet friendly places here, but petsmart is, so we take advantage of it!! Sounds like a great food too! ღ husky hugz ღ frum our pack at Love is being owned by a husky! Super cute post you all! We love the look of TruFood, but the taste is even better! They have amazing treats which is something every dog finds important! It seems as though everyone loves PetSmart trips! We don't have a PetSmart nearby so we miss out on all that fun of visiting the store! Only the Momz gets to go to one once in a while when she's on a shopping trip. That Wellness food sounds very good! Wellness makes some good food. I use their dry food as training treats. It's great that the color doesn't come from artificial dyes but is real food-colored! We need to check out the cat food version of Tru Food! Well this is very timely as I am going to take a PetSmart run tomorrow with my Dexter. 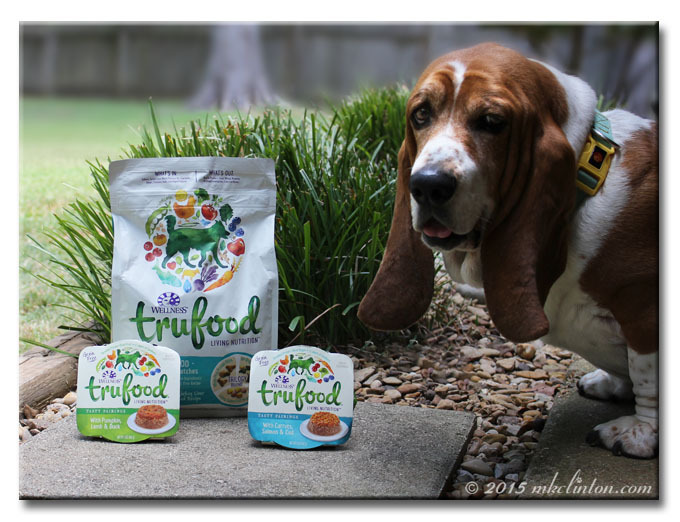 He tried the TruFood at the BlogPaws Conference and enjoyed it. I wish they build PetSmart here. Wellness is a great brand, one that my kitties enjoy eating occasionally as part of their wet-food rotation. I didn't know that Wellness had a TrueFood line for dogs as well as cats. I hope your dogs enjoy it! We go to PetSmart all the time. We'll have to check out that food! Definitely going to check out this food. I a big label reader, this sounds really good. Truffle and Brulee really like Wellness cat food and are excited to try the TruFood line. Thanks for this excellent review! Wellness Trufood sounds like a great natural pet food. I like that it has a ton of healthy veggies & fruits! I'm glad that Wellness has come out with Trufood! It is such a natural extension of their already impressive holistic line. It's yummy stuff too (at least that's what the cats tell me). Your photos with the dogs are so precious! We love Wellness and love that they have launch the new Trufood! I love these photos! Great review! I'd love to hear from you! Bark back! dog products, tips and BFTB NETWoof News. Please read the information provided to better understand how we use your information. Join the fun each week! What Do the Bayou Boys Do on Their Days Off? What Goes in a Pet First Aid Kit? Does Your Dog Think That You Stink? Mkclinton.com and BARKING FROM THE BAYOU. All images and words are protected by copyright laws 2014-2018. Written permission is required to reproduce images or words in any form. Barking from the Bayou; a fun place for dog tips, reviews, and laughs! TXu 1-813-370. Theme images by andynwt. Powered by Blogger.